The Apex Group represents the union between some of Australia’s major steel companies; together we equal a bigger and better team that is able to offer a greater and wider variety of products and services. Selling direct to the trade and public, the combining of our resources allows The Apex Group to cover all your steel requirements. Whether you need house framing, roofing, walling, gutters & downpipes, home improvement materials, purlins & girts, formwork, fencing or complete design and supply solutions, there’s a quality Lysaght® product or service to suit. Based in Brisbane, Queensland Sheet Metal & Roofing Supplies is an Australian-owned and family-operated business manufacturer and supplier of industrial and residential roofing materials and rainwater products throughout the Queensland area. 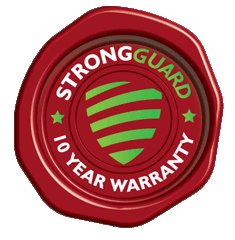 For a free, no-obligation inspection or quote for any of Strongguard’s services, phone 3623 4422 or send an email enquiry. With a lifetime of up to four times that of ordinary galvanised steel, ZINCALUME® steel delivers outstanding durability. It’s a design classic. ZINCALUME® steel has the unique ability to compliment both traditional or ultra modern architecture. Use it with confidence. It’s flexible and cost effective, so the design choice is yours.